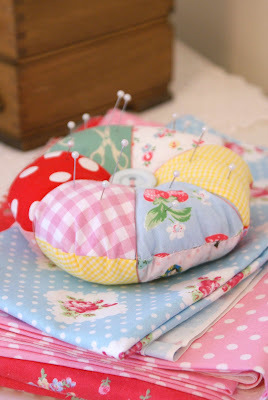 MessyJesse - a quilt blog by Jessie Fincham: Make it Monday: Hexagon Pin Cushion! 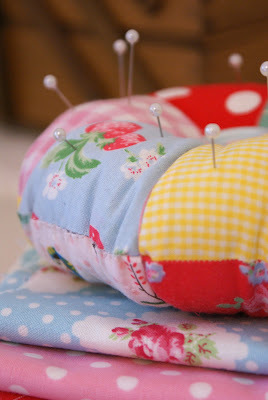 Make it Monday: Hexagon Pin Cushion! 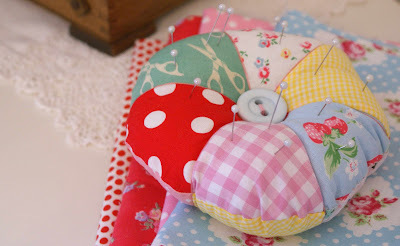 Here is my pincushion i started making ages ago! finally completed! i finished it off with embroidery thread around each section and a nice big button for the centre. The fabric in the background is what i'm using now for my next project :) will share the pictures next week. Saw this and just loved the colours. And it made me think of your blog with all these great bright colours! Love it. The fabrics you used are great. The one with scissors pattern is so cute. How lovely. They look a perfect Christmas gift. 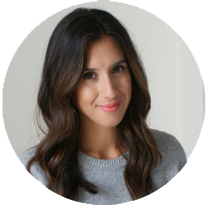 The fabrics are gorgeous, and so you!